We live now at the cusp of staggering rapid innovation at a global level, with almost all economies firing towards multiple Silicon Valleys across the globe. A few thoughts triggered that I wanted to write up for future reference, specifically, of which technologies and innovations we can expect mankind to make. Researchers have recently invented a way to power up low-power devices using general WiFi alone (Link), which represents a breakthrough well beyond the emerging close contact charging found now in wireless adapters that you can add to your phones (example devices) and in the form of furniture with integrated charging (from IKEA). This got me thinking, what does this mean for us as end customers and as businesses and governments looking to build society. If we track the rapid growth of internet usage, from wired internet to WIFI and faster growth of 2G/3G/4G services, with noted growth and spread of Internet usage on mobile (Internet Report), all signs point to a pent up demand in mobile usage. 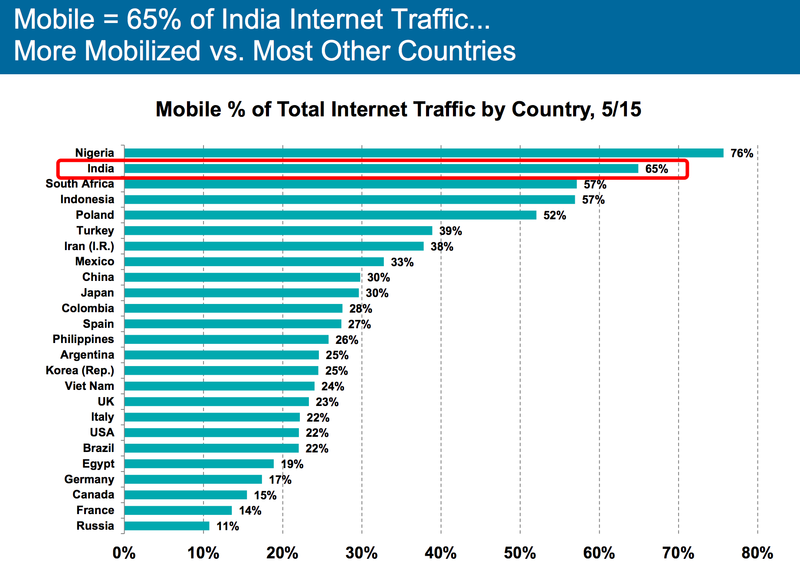 The below graph indicates an overwhelming usage of Mobile for accessing Internet, and it will only continue to grow. As we continue to develop faster processors, bigger screens (hello iPhone 6+) – we need more and more power. The biggest frustration faced by users is the short supply of power that we need to power the mobile devices we have. We continue to innovate of course, in super fast charging, such as batteries that can charge up in minutes instead of hours (such as these promising techs) By 2017, hopefully, we should be able to charge a smartphone under a minute. The beautiful merger of all the above technologies will be a state of the world where we get the power to charge up all the devices we own, as ubiquitously as we get Mobile connectivity. At first, it would start with Wi-Fi range and then get full coverage as Mobiles. With projects such as Google Loon to get Internet all over the world, along with Solar charging technologies, we should hopefully get Power globally as well. What does this mean for businesses? Well, this opens up a range of opportunities for the present network and power vendors. The days of stop-gap power banks would come to an end, and would go along with the flood of mobile only internet usage. We would soon be purchasing top up cards similar to mobile recharges that we do now, and then eventually all payments would be integrated to automated deduction to your account. You walk, talk, recharge and it all gets neatly billed against your needs. Well, this is just me jotting down my projections. Please do comment if you have any ideas, updates, feedback to add. I’m always looking out for interesting concepts.